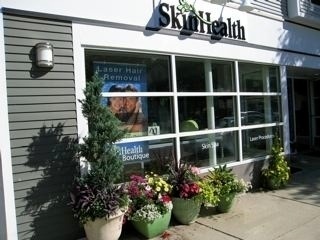 * Discounted parking vouchers may be purchased at SkinHealth. Enter the garage as usual by taking a ticket at the gate. 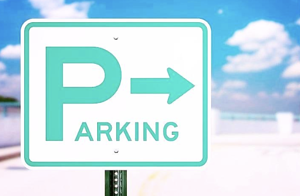 Purchase a parking voucher at the front desk at SkinHealth Centers. When leaving the parking garage, drive to the exit gate, scan your original ticket, then scan the parking voucher you purchased at SkinHealth. On Saturdays, follow the same process, but you will pay the $10 at the gate, not at SkinHealth. The closest entrance to SkinHealth is at 222 Berkeley Street, an office building just past Boylston Street on the right hand side, between the Bank of America and Ticos Restaurant. Enter the main entrance at 222 Berkley Street and bear left to the elevator to the parking garage elevator. This entrance is open until 10:30 PM. There is another entrance at from the courtyard at 500 Boylston Street. The entrance to the courtyard is on Boylston Street between Berkely and Clarendon, on the right had side, between Talbots and Marshalls. The elevator is in the courtyard next to by Rebeccas Café. This entrance is open 24 hrs a day. Take Copley Square exit, turn right onto Beacon Street. Proceed 2 blocks to Clarendon St., turn left. Proceed 5 blocks and cross Boylston St., at midblock turn left into the Back Bay Garage. Take Copley Square exit, proceed straight ahead on Stuart St. for 3 blocks to Berkley St. Turn left on Berkely St., go 1 block to St. James Ave. Turn left on St. James Ave, at midblock turn right into the Back Bay Garage. Take Exit 18, Frontage Road. Turn left at 5th traffic light onto East Berkley St. Follow Berkely St to St James Ave., turn left on St. James Ave. At midblock, turn right and enter the Back Bay Garage. To Storrow Drive- Points North, Route I93 North and West - Exit garage turning right on St. James St. to Clarendon Street. Turn left on Clarendon St., go 1 block to Stuart St. Turn left on Stuart St, go 1 block to Berkley Street. Turn left on Berkley St. and proceed 7 blocks to Storrow Drive. Go right on Storrow Drive for Routes 93 north/south, or Rt. 1. Go left on Storrow Drive for points west. To Mass Turnpike and Points West - Exit garage turning right on St. James Ave. Proceed straight past Clarendon St and Dartmouth Street to the Mass Pike entrance. To Points South - Exit garage turning right on St. James St. to Clarendon Street. Turn left on Clarendon St., go 1 blocks to Stuart St. Turn left on Stuart St, go 2 blocks to Arlington Street. Turn right on Arlington St., proceed for 2 blocks, bear left at Herald St. Proceed 4 blocks to Albany St., bear left to access I 93/ Rt 3 South.